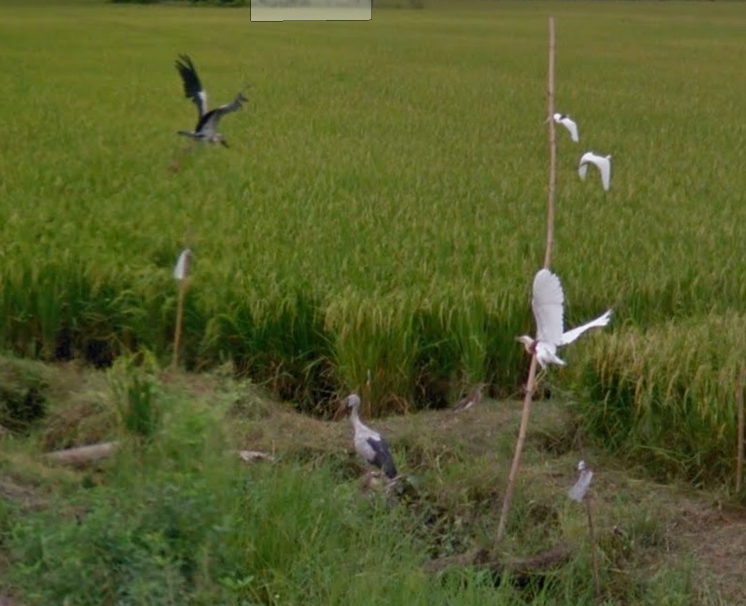 I've been looking for birds on Google Street View for more than five years. It's been a minor passion of mine, mostly picked at in the few minutes of down time between meetings. A fun diversion, and a personal one. I had the idea two weeks ago to make it a bit less personal, and open Street View Birding up to office-bound birders everywhere. I don't know why I didn't think of it sooner. A Facebook Group seemed like the right venue, and so I set one up and invited folks via the Birding Memes group to help search for birds with me and post their findings. I figured a few would join, but a whole bunch did. There are currently more than 700 birders in the Google Street View Birding Facebook Group, and we've collectively found more than ... wait for it ... more than ... this is a big number so sit down for this ... 500 different species by creeping along the roads and trails of this great world and zooming in on tiny pixelated specks in the distance. It's incredible. I found a few good species in my pokings, but as a groups we've made some real discoveries. Two owls -- Burrowing in Florida and Buffy Fish-Owl in Singapore. We have about FORTY gull species, just about all that can be reasonable expected given GSV's scant coverage in China and the Middle East. Huge birds from Condors to tiny birds like Vermillion Flycatcher. And the beat goes on. If you read this and would like to join the group, please do. We need all the weirdos we can get. Javan Pond-Heron, Little Egret, and Asian Openbill, spotted in Thailand by Krit Adirek. Here's the link to Google Maps.